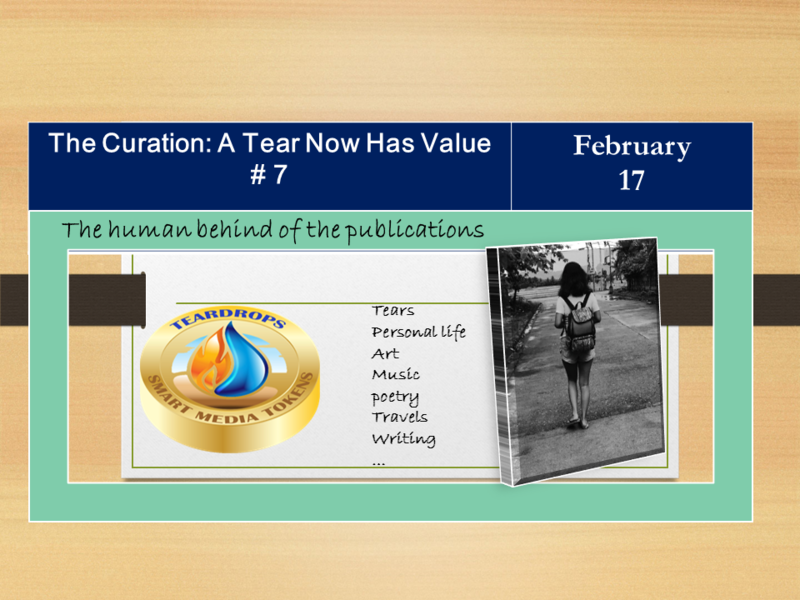 Welcome to the seventh edition The curation A Tear Now Has Value # 7, in this edition, 31 wonderful Steemians are rewarded with extra exposure and ascending votes to create inspiration and add tears of enjoyment. @lullettematz She had a celebration:”Last February 14 was Valentine’s day and we also celebrated my Granny’s birthday as she was born on the same day of heart’s day. She was named Valentina Malubay -Matalang and she is 70 years in this world full of roller coaster and brightful life.” Reunited -Extended Birthday Celebration for our Valentina! 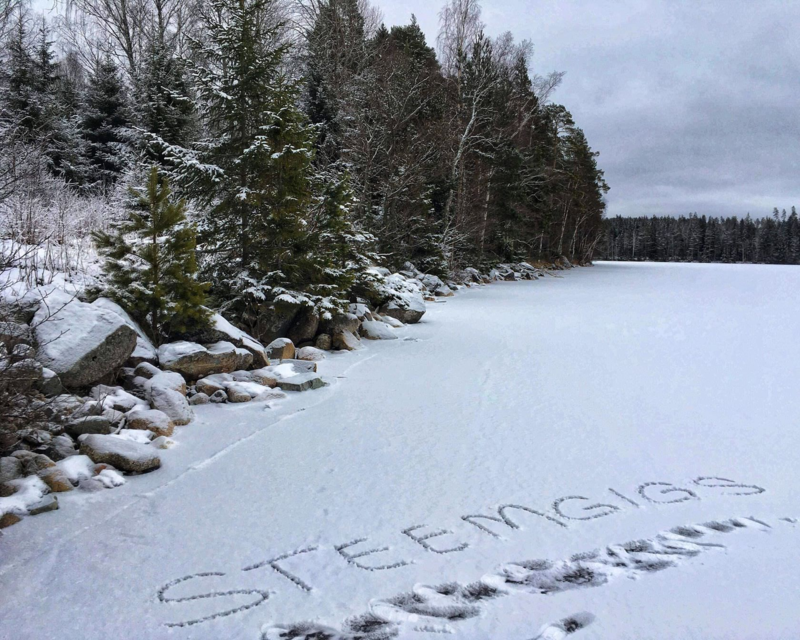 @moonchazer She shows us a dance video, a practice that helped her in her moments of sadness. Dance: Those are the days! 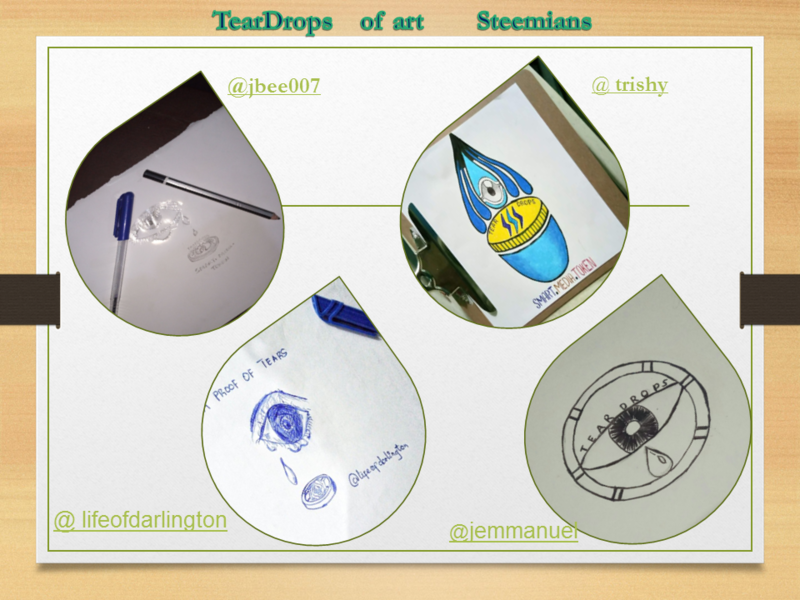 @ishanvirtue, @jbee007, @lifeofdarlington, @jemmanuel They have designed a beautiful teardrops logo. A miniature sample on our teardrops art billboard. Visit their profiles to see the step by step. @vannyfath #Philosophy Life: Like a rainy season dream. @baebiychel Artwork #17 : Popsicle Silhouette Painting (Cute Penguin Lovers) Easy and Detailed Step-by-Step Processes Provided for you to learn!